Less time shopping, more time enjoying! That's Cheryl's motto for the holidays, and why we make it SO easy to select the perfect gifts for everyone on your list. 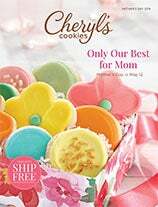 Every gift we offer, from our cookie baskets to our towers of treats, is filled with Cheryl's signature baked goods made from the finest ingredients, and guaranteed to deliver miles of smiles. Whether you're sending gifts to loved ones near and far, thanking clients or co-workers for a wonderful year, or planning a party for family and friends, Cheryl' s has just what you need and what everybody wants. If the season makes you want to shout "Merry Christmas to All!" from the highest of heights, we have the perfect presents for you. The gifts in our "Merry Christmas" Collection clearly express your sentiments in the prettiest ways possible. Choose one of our Christmas Collection Cookie Tins filled with our classic Buttercream-frosted Cut-out Cookies, or select a basket filled with an assortment of Christmastime flavors and favorites. We can't think of a nicer (or more delicious) way to usher in the most joyous of holidays. We have a gift for each day! 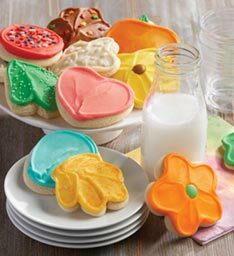 Light up the holiday with our tasty buttercream frosted cookies and desserts. Ring in the New Year with style! Our elegant collections will inspire any celebration. The perfect way to thank all of those people—the teachers, and mailmen (and women), and stylists, and Secret Santas—who make life so merry and bright all year long. 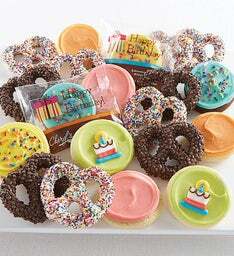 Find the newest Holiday gifts and desserts! 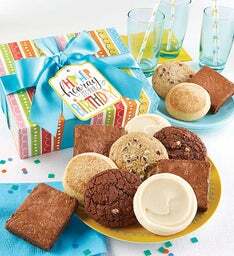 Delicious buttercream cookies, delectable brownies, cookie assortments, tasty treats and more! These sure-fire people pleasers win the highest praise year after year. If you're not sure exactly what to give, give one of these; they're our best sellers for a reason. If there are children who don't love cookies, we have yet to meet them. 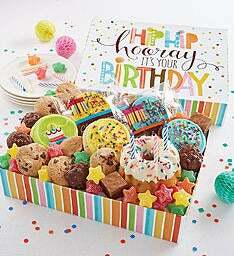 Our kid-friendly gifts are so delicious they're guaranteed to get a smile in response--and maybe even a thank you note! What's better than a gift given once? A gift that gives all year long. When you give a subscription to one of our cookie clubs, a box of our freshly baked goodies shows up on the doorstep month after month. Cheryl’s Christmas cookie gift baskets are overflowing with buttercream Christmas cookies! 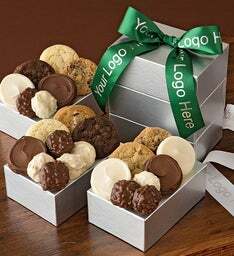 A gift of Christmas cookies from Cheryl’s is the perfect treat for family and friends, coworkers and clients. Cheryl's cookies, baked goods and gift baskets make the perfect gift this Christmas. Looking for unique gift to sweeten Christmas? Cheryl's cookies and baked goods have been a favorite for over 35 years. Cheryl's gourmet treats provide homemade taste with our famous buttercream frosted cutouts and festive holiday shapes. Our gourmet gift delivery will create smiles and show you care this holiday season.